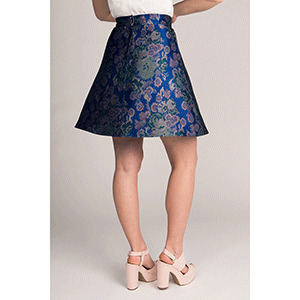 ⅓ circle skirt with a pleated front and zip fly closure at the back. 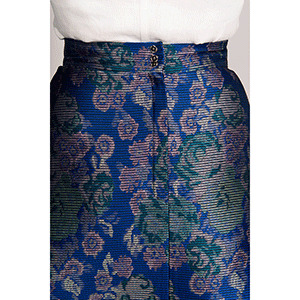 Wide waist band with three buttons at the back and above-knee length. The skirt is unlined. This is an intermediate level sewing pattern. This pattern is available in sizes 0 to 14. 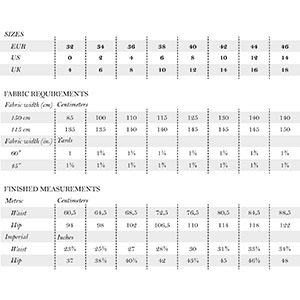 Suggested fabrics are medium weight non-stretch fabric such as vegan leather, brocade, or light wool.